Product of Czech Republic,Japan or Israel. We, American Organic Food Company, are introducing our new brand, Raw Harvest, to you! 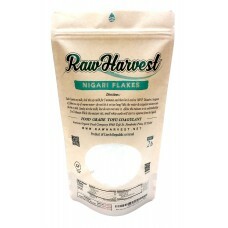 Raw Harvest Nigari Flakes is used as a Food Grade Tofu Coagulant. Nigari Flakes are made up of magnesium chloride. Magnesium Chloride is a chemical compound (MgCl2 ) which has been produced from seawater after the Sodium Chloride has been removed, and the water has evaporated. Multiple health benefits of magnesium include transmission of nerve impulses, body temperature regulation, detoxification, energy production, the formation of healthy bones and teeth, and so much more! 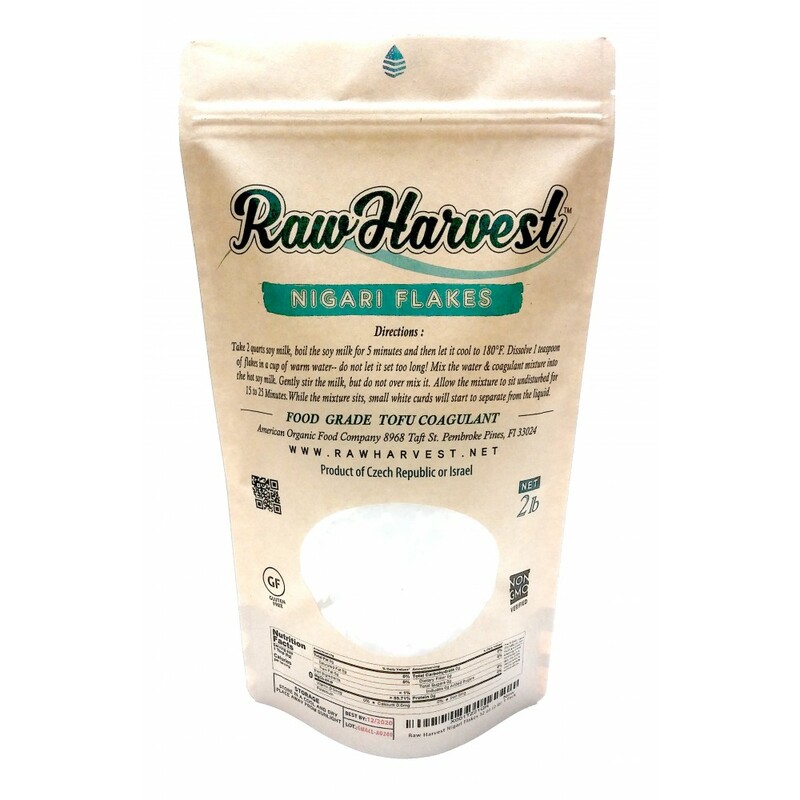 Nigari Flakes will help balance the blood's magnesium levels. The benefits are so great that people also use the flakes for water cleanses.